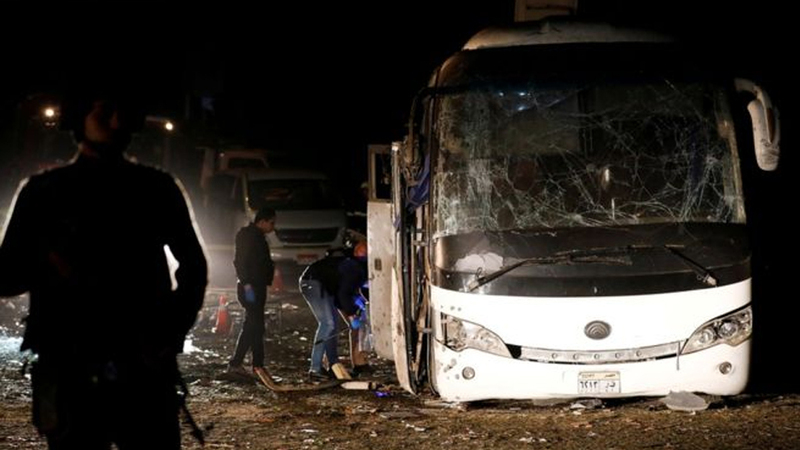 A roadside blast has killed four people – three Vietnamese tourists and a local tour guide – and injured 12 others on a bus near the Giza pyramids in Egypt. A bomb hidden beside a wall went off as the bus carrying 14 Vietnamese tourists was passing. Two people were critically wounded. All of the injured are Vietnamese tourists apart from the bus driver, who is Egyptian. There were no immediate reports of any group saying it was behind the attack, but Islamist militants have targeted tourists in the past.